Beer! Or wine. Or liquor. I enjoy beer. I especially enjoy beer when I can have it delivered to my door! And that is exactly what Drizly is doing with its marketplace platform that the three co-founders developed in 2012. The operations of the company work very similarly to those of Grubhub or Seamless (restaurant food delivery apps); users open the app, select the type of alcohol they want, choose from several liquor stores in the area that have that alcohol available, and then pay through the app. In less than an hour, or at a scheduled time, the alcohol is delivered to their door! Drizly is simply a marketplace—it does not employ drivers and it does not sell alcohol directly. 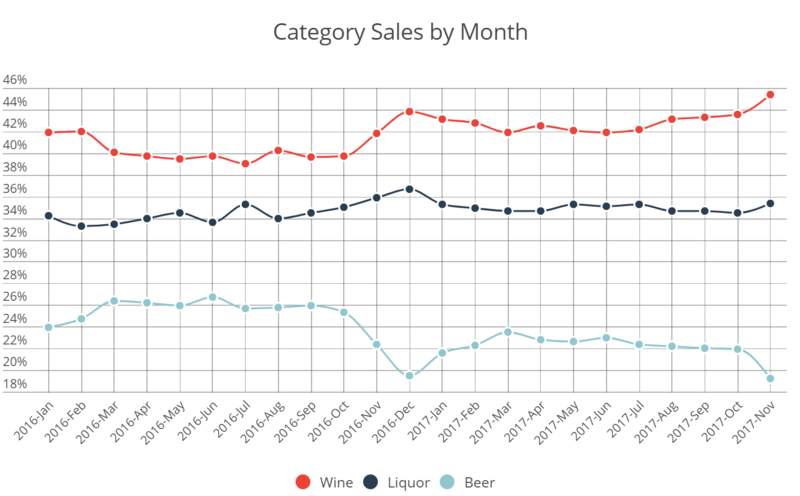 Drizly connects consumers with liquor stores via its platform and charges a fee to the liquor store for using its technology. 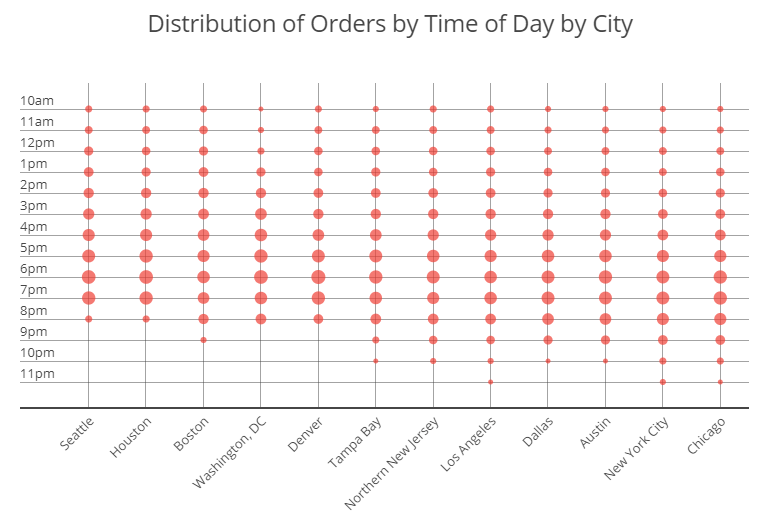 The liquor stores are the ones who actually deliver the alcohol to the consumer… these are not Drizly contracted drivers like those of Uber or Grubhub. Drizly also developed a program within its app for the retail partner’s drivers to verify IDs upon delivery—a built in ID verification tool for the retailers. Drizly is the first and only alcohol delivery marketplace that has worked with and received regulators regarding its business model. Drizly has raised $35 million to date from seed to Series B and is the world’s largest alcohol marketplace. Let’s talk network effects. 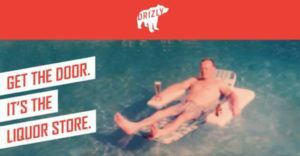 The more consumers utilizing Drizly to deliver alcohol, the more retailers will sign up to have access to these consumers. On the consumer said, the more retailers that sign up and pay for Drizly’s technology, the faster consumers receive their orders and the more product selection they have due to the increased concentration and number of participating retail partners. 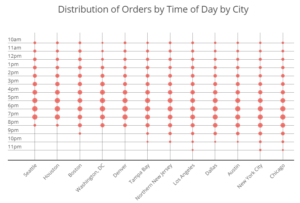 Drizly is able to offer a product selection of 1,000 – 3,500 items per store and has on-demand delivery times of 20-40 minutes in some markets. 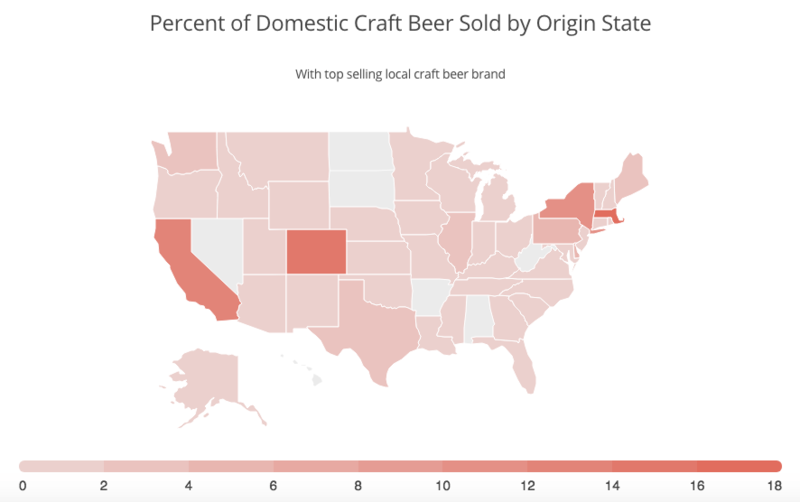 More recently, in the summer of 2017, Drizly launched the Drizly Data Distillery, a compilation of data accumulated from millions of Drizly orders since the app’s inception. 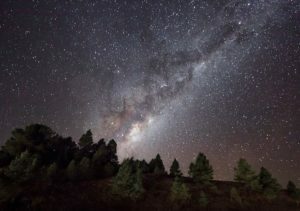 Why is this data important? One reason is that it serves as a competitive moat; with its scale and volume of orders, Drizly has more data to gleam insights from than its competitors. 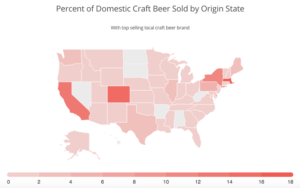 Another reason is the value it gives to large distributors, small micro-breweries, and retailers concerning pricing, inventory management, and marketing. – Nicole Portwood, VP Brand Marketing at Tito’s Handmade Vodka. 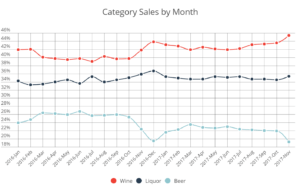 For comprehensive data on Drizly’s identified alcohol trends online, click here. Amazon. The logistics and delivery powerhouse. 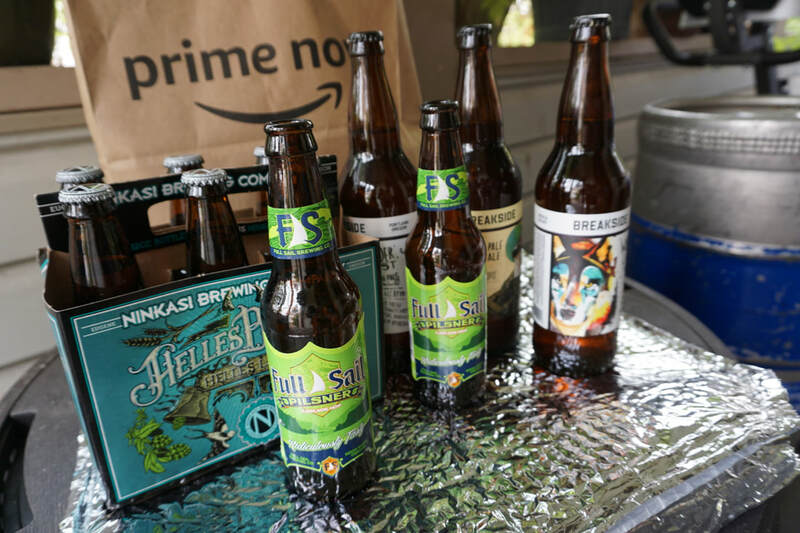 Since 2015, Amazon has been gradually rolling out alcohol delivery services for Prime subscribers and now offers two-hour delivery in 12 US cities. If I were a Drizly executive, I would be very worried. Although Drizly has built a successful platform with advantages in data and retail partnerships, Amazon’s recent acquisition of Whole Foods will give the giant 473 distribution hubs throughout the country. Therefore, I would look to expand faster into new markets and deeper into existing markets. 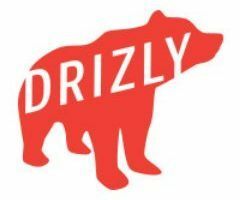 I think that the best case for Drizly is to either IPO and use the cash to expand, or to be acquired by Amazon for its data and technology. Drizly also has the opportunity to expand from service-centric to platform-centric. We have already seen Drizly evolving into a platform with the Drizly Data Distillery, but it has room to grow. 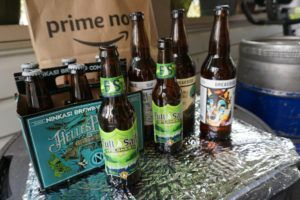 Some reports indicate that Drizly wants to become a platform for all things associated with alcohol—delivery, pickup, recommendations, party planning, or rare alcohol access. Great post, Mike M. Drizly has certainly identified a consumer pain point and its platform is well positioned to solve a lot of their issues. I wonder about how Drizy will interact with state and county regulations going forward. 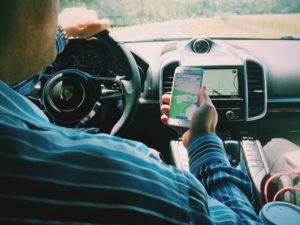 I am sure they have a fine legal department and regulation is top of mind as they seek to grow, but perhaps like Uber, Drizly may find itself brushing up with the law throughout it’s growth period — and perhaps lobbying for certain distribution laws to change. Excited to watch the evolution.